Do Psychics Help Guide, Direct or Interfere with Mental and Emotional Health? Greetings Everyone! I'm back from my month-long vacation and wanted to air something in honor of my visit this summer to the Edgar Cayce A.R.E. Headquarters in Virginia Beach, where Cayce's channeling abilities and dedication to health and wellness were spotlighted. He did a tremendous amount of channeled readings on mental health. And I am so honored that my book is now available there. So, I felt it would be great to review our discussion on channeling with author and psychotherapist Reverend Lea Chapin – who is also a bona fide Channeler (psychic) who has worked with the FBI and authored several books including The Twelve Mastery Teachings of Christ. In this conversation she shares uplifting interventions from her book as well as discusses with Dr. Kemp the fears and doubts people have about spiritual gifts and psychics. Differences are then shared between tapping into one’s “own inner knowing” versus channeled information from a channel or psychic. The discussion also explores Rev. Lea's personal journey from victim to victor with regard to forgiving childhood abuse, and how she triumphantly became a healer using traditional remedies along with alternative and holistic healing modalities that led to her uncovering her spiritual gifts as a channel. Listeners are welcome to call in with questions to 1-347-877-0795 or send questions via the website to DrAmeliaKemp.com (click the radio show link). 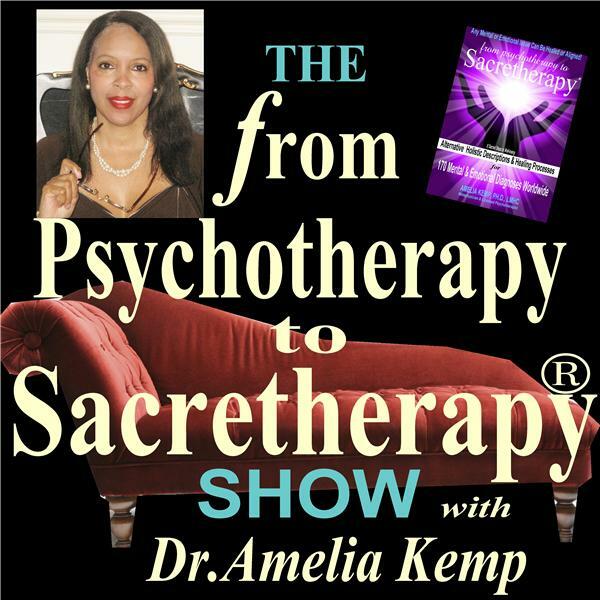 This show is based on the book by Amelia Kemp, Ph.D., LMHC - From Psychotherapy to Sacretherapy - Alternative Holistic Processes for 170 Mental and Emotional Diagnoses Worldwide.